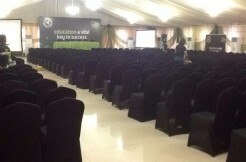 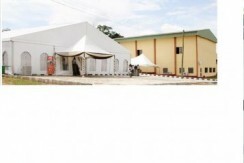 The Venue by Royal Marquee Events Center is a state of the art event center comprising of a marquee and a multipurpose hall with capacities of 1,200 and 500 guests respectively. 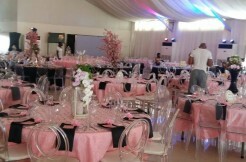 The Royal Marquee Events Center is now opened to take bookings for and to host your birthday parties, wedding parties, seminars, concerts, product launch, AGMs, religious programs, etc. 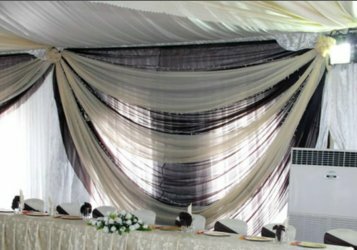 Our staff are well trained and versed in the events & entertainment industry and their primary role is to give you a flawless event that would linger in your memory for a long time. 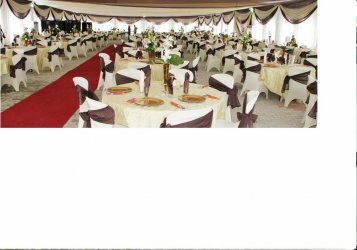 Not only do we host events at The Royal Marquee Event Center, we also work with our clients to plan, organize and execute events together. We work with the best decorators, caterers, comperes, and other event service providers in Nigeria. 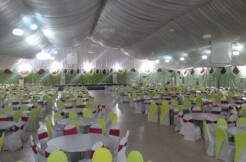 Our expertise and 10 years’ experience in being the best event management company has now been brought to the heart of Ijebu land to delight our ever increasing client base in that part of the country. 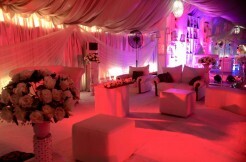 We manage your events like no other in the world!! 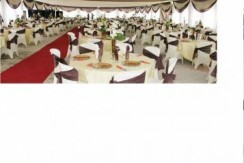 Welcome to the Royal Marquee Events Center!